Banbury Cross Archers are a friendly club open to people of all abilities with membership ranging from juniors aged 10 years to senior citizens. Archery is one of the few sports which people from a very wide spectrum can enjoy together and we welcome families and people with physical disabilities and learning disabilities. Our members come from the local area in North Oxfordshire. We are a new club, set up in May 2011, but are growing fast. 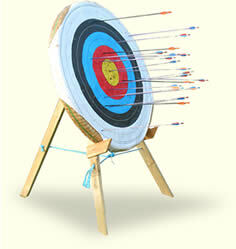 Banbury Cross Archers are a target archery club and indoors we will shoot from 20 yards. Outdoors we shoot at various size targets at varying distances according to members’ preferences. We are planning a programme of club competitions, coaching courses, etc, to suit those who shoot just for the fun of it and those who want to progress in the sport. New members are always welcome, whether experienced archers or beginners. Just go to our Contact Us/Find Us page to get in touch. Archery GB members from other clubs are always welcome as shooting visitors for a small fee. In the summer we meet on Wednesdays at Warriner School, Bloxham, from 6pm until 9pm and on Sunday afternoons from 2pm to 5pm. In the winter we shoot indoors on a Wednesday from 7.30pm to 10pm and on Sunday from 2.30pm to 5.30pm at the Warriner School Bloxham. Winter Frostbites on Sundays by arrangement. 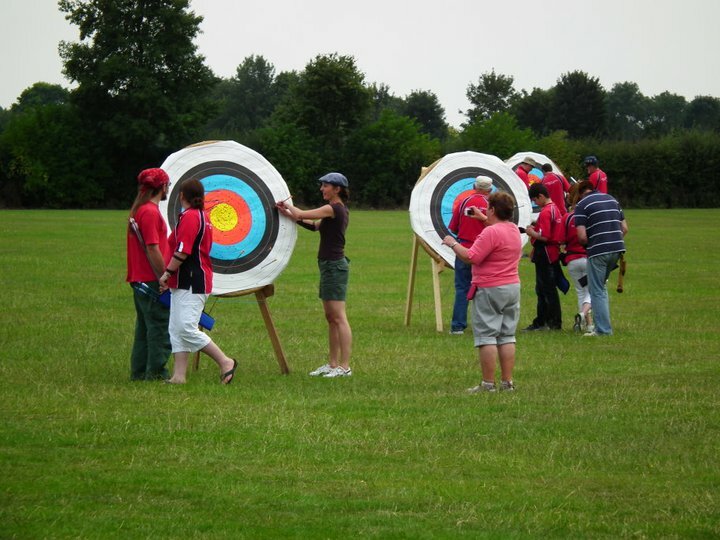 Banbury Cross Archers hold regular courses for newcomers to the sport. See our Beginners Page for more information and get in touch to book your place. Our club is affiliated to the Grand National Archery Society, which is the national governing body for the sport of archery in the UK. Although we are located in Oxfordshire at regional level we are affiliated to the East Midlands Archery Society and Northamptonshire County Archery Society. All club members are also members of these national and regional organisations.